Mrs. Vicki Willig, at the age of 69, passed away peacefully in her home, surrounded by her children, on the morning of January 20th, 2019. Vicki was born April 16th, 1949 in Waxahachie, Texas where she was raised. It was in Waxahachie that she met many lifelong friends and stayed extremely close to her family, whom she cherished. On July 1st, 1966, Vicki married Mr. Larry Willig and after a short time in El Paso, where Larry served in our military, they came back home to Waxahachie and began their family. To say that Vicki had a zest for life would be an understatement. She never stopped moving, going and doing. One of her favorite things was to host large family get togethers, especially at Christmas time. There were never too many people in her home, she truly loved it. Vicki loved her kids and grandchildren beyond measure. Her grandson Jason was her pride and joy and truly got the best years of her life. Vicki is preceded in death by her parents, Earl and Juanita Dulin, a brother, Jinxie, and two very special nephews, Robert and Rodney Dulin. Vicki is survived by her husband of almost 53 years, Mr. Larry Willig; a brother Billy Earl Dulin & his beautiful wife Linda; three children, Amy Garcia and her husband Levi of Seguin, TX, Cory Willig and his wife Liz of Fort Worth, TX, and Ashley Hargrave and her husband Eric of Broussard, LA. Grandchildren, Levi & Harper Garcia, Jason, Kyle, Caden & Caleb Willig, Ryan & Kylie Hall, Hunter Hargrave & his wife Victoria, and one great-grandchild, Porter Hargrave. She is survived by numerous in-laws, nieces, nephews and cousins who cherish her as well. Pallbearers for her service are Neal Armstrong, Jon Lowe, Jason White, Rylie Fenton, Jerod Mandrell and Brady Dulin. Honorary pallbearers are Keith Bell, Joseph Willig, Nicholas Canales, Trey Fenton, Jack Fenton & Aaron Armstrong. While Vicki will be missed beyond measure, her life here will never be forgotten. She loved fiercely and lived vivaciously. She raised strong children and had a husband who adored her more than anything in the world. The family would like to extend our deepest gratitude to the nurses and staff at Camelot of Broussard Assisted Living. In her last weeks, we could not have asked for more compassion and better care. They truly went above and beyond to make Vicki's last days on earth as comfortable and happy as possible. 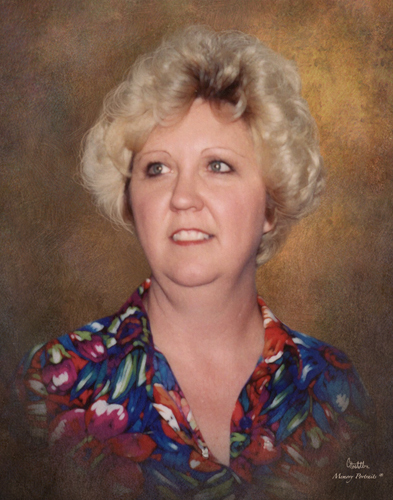 Services to celebrate her life are scheduled for Thursday, January 24, 2019 at 10:00 AM at the Pat Boze Memorial Chapel of Wayne Boze Funeral Home with Kevin Strength officiating. Interment will follow at Gateway Memorial Park in Waxahachie. Visitation with the family is scheduled from 5:00 to 8:00 PM. Wednesday, January 23, 2019 at the Wayne Boze Funeral Home in Waxahachie.